CC International provides for all food, lodging, volunteer project coordination, a full time bilingual guide, in-country transportation, travel emergency medical insurance, support of project partners, and a recreation activity. The Bocas del Toro Project takes place on Isla Colon and surrounding islands. The community hopes to develop to improve the infrastructure of educational facilities and to promote eco-friendly solutions for for problems related to increasing tourism, waste disposal and beach debris . There is also a sea turtle preservation project and other local initiatives. Volunteers will help support ongoing efforts in the local communities. Transfer to Alajuela Backpackers Hostel. 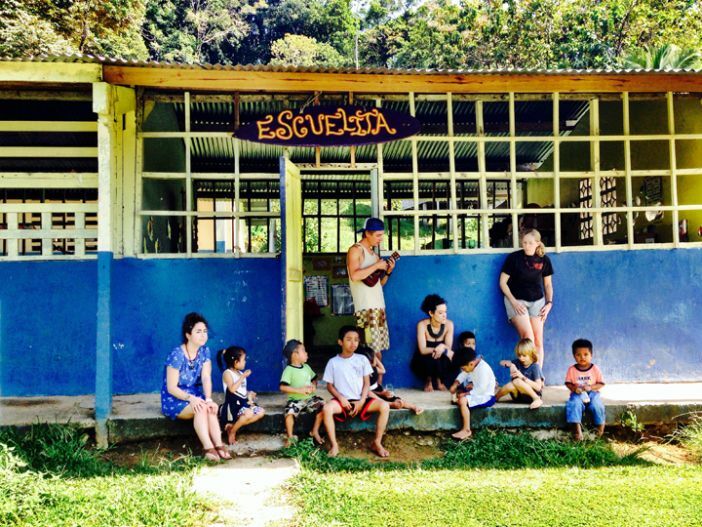 Projects in the indigenous community of Rio Oeste Arriba including organic cacao farming, community garden, and work with local youth. Participants will stay in a local hotel four per room with all of the usual amenities and meals will be served at a local restaurant. Bocas del Toro is a recreational paradise with great snorkeling, beautiful beaches, and great surfing.